Measuring the muscle properties of patients with spinal cord injuries (SCIs) is important to better understand their biomechanical features. In this study, we sought to evaluate the between-day reliability of MyotonPRO, a handheld device that can measure muscle mechanical properties, and assess whether it is reliable to measure muscle properties over time in patients with SCI. Thirteen men with complete SCIs (age 53.9 ± 6.3 years, height 171.0 ± 5.2 cm, weight 66.1 ± 5.8 kg), and injury levels ranging from L1 to T12, were enrolled. 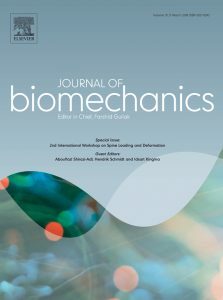 Oscillation frequency; logarithmic decrement; dynamic stiffness; mechanical stress relaxation time; and creep of the biceps femoris, medial and lateral gastrocnemius, rectus femoris, tibialis anterior, and Achilles tendon were measured on consecutive days using MyotonPRO. The intraclass coefficient for most muscles and the Achilles tendon ranged from 0.53 to 0.99 for all parameters. The percentage standard error of the measurement for many parameters in most muscles and the Achilles tendon was less than 10%. Bland-Altman analysis showed a high agreement for all mechanical properties. No significant differences were observed in any muscle or Achilles tendon properties between days (all p > 0.05). These results indicate that the MyotonPRO is reliable for between-day measurements of the mechanical properties of lower limb muscles and Achilles tendon in patients with SCI.